The team at VIP Asbestos Removal Sydney are fully licensed and qualified to remove from both domestic and commercial properties. Removing asbestos and asbestos material from a structure or a site is an extremely complicated process. First, we will put together a detailed containment, removal and handling plan that takes into account such matters as the types of hazardous materials present, the risk they may present to our workers and the public, and the idiosyncrasies of your building in particular. We will make sure that a licensed professional oversees all aspects of the process, and that every health and safety regulation is followed at all times. Of special importance in this work is air monitoring. This is essentially testing the amount of asbestos in the air at any time, to determine whether a significant amount is being released by the removal procedures. If even one fibre is detected per 100 millilitres of air, the source must be determined, and new safety procedures put in place to prevent exposure! If the asbestos is ‘friable’ (prone to breaking or shedding crystal fibres), then full air monitoring is required at all times. It is also mandatory when removing a total of 10 square metres of non-friable asbestos or more, or in any removal taking place in or near to a public location. Of course, once the materials have been carefully removed, we have to dispose of them safely as outlined by the NSW Government. Most asbestos materials must be sealed in plastic at all times and transported to a licensed disposal site. Larger lots can be sealed in a plastic lined truck. They key is keeping the dangerous dust out of the air. Most of the protection equipment our workers use will have to be thoroughly cleaned after working, and all filters, etch removed along with the contaminated waste. Even their clothing has to be laundered at a facility licensed to work with asbestos. The most important part of the job is the clearance inspection. Upon completion of of the asbestos removals procedure we conduct a detailed inspection. This must typically be done by an independent asbestos assessor who holds a Class A license as an asbestos removalist themselves. Only after a certificate of clearance is issued is it safe to re-occupy the home or business. Our asbestos removals can be done in the following areas. 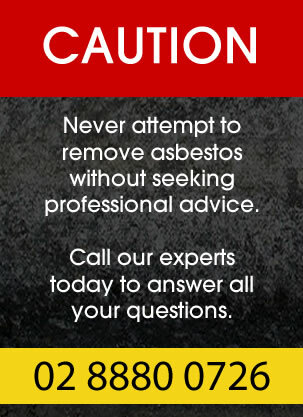 To book an inspection or to receive a free quote contact VIP Asbestos Removal Sydney today, we are ready for your call.